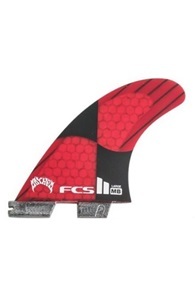 Buy FCS fins or surf accessories online at Kitemana! 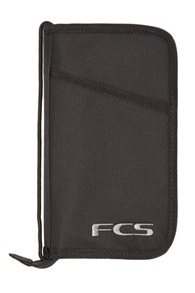 FCS is a surf brand best known for their fins and sponsoring big names in the surfing world. 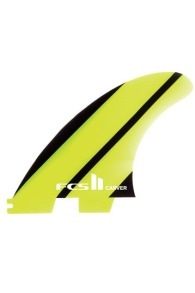 FCS and FCSII fins are used by a number of kite brands such as Slingshot, Core, Naish and Airush. 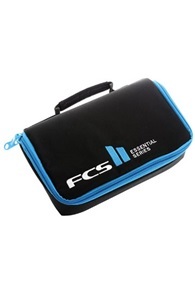 In addition, FCS is manufacturer of traction pads, leashes, boardbags and other kite / surf accessories. 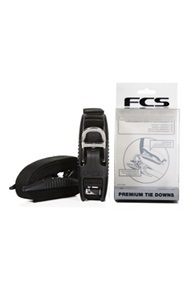 FCS, stands for Fin Control System, and is a brand that makes fins, fin boxes, surf bags, surf grip and even more surf accessories. 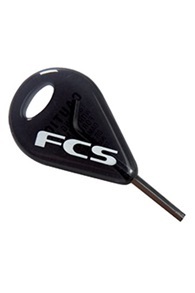 Brian Whitty is founder of FCS that started with a system that allows you to easily attach your fins to your surfboard. 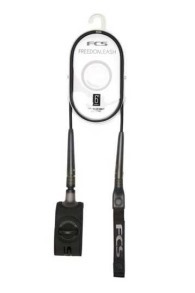 From there it has grown to a worldwide company that sells all kinds of handy stuff for surfing. On November 7, 1995, Brian patented the FCS system, which you can recognize from the two hexagonal tabs with which the fins are tightened. 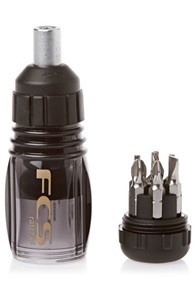 A few years ago FCS reinvented itself and introduced the FCS II system where the hex screws are no longer needed. 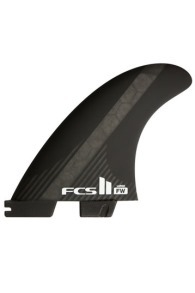 With the new FCS II you can easily click the fins into the fin boxes. 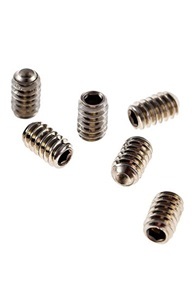 No nagging with your screws in your fins forever but three, four or five clicks and all your fins are in your board. 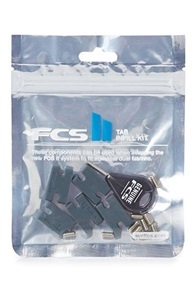 Getting your fins out has also been done with the new FCS 2.0 system. 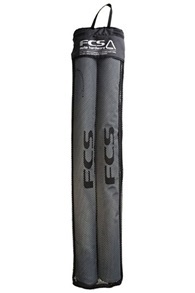 The FCS fins are for sale in thruster set or quad set. The thruster sets are three fins. 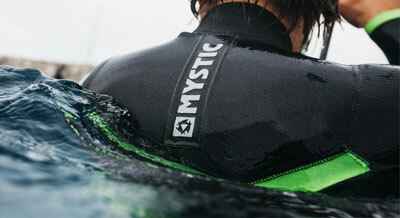 A thruster setup on your board gives you movement on the wave. The quad set are four fins. Depending on the setup of your board you can sail a thruster setup. A thruster setup gives more speed. 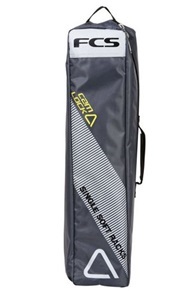 You can buy a five fin set to sail both thruster and quad on your board. There are even people who occasionally sail a five fin setup on their board. 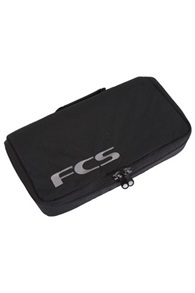 FCS makes super handy bags and solutions to always take your surfboards with you on a journey on your car. 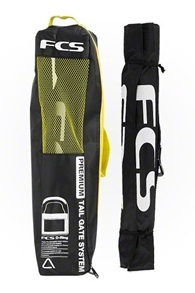 The board bag FCS 3D-Fit MPH surf is a boardbag with a blunt nose, this is super handy for many of the new kitesurf directionals such as the Stallion, Skater or Whip. 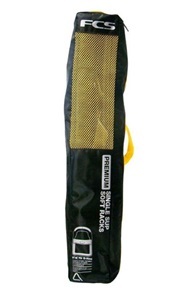 The bag is lightweight, has good padding and is equipped with a ventilation system so that there is no mold in the bag during the trip. 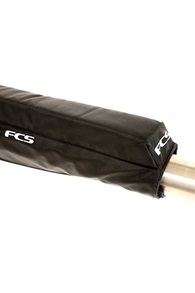 The FCS Roofrack is perhaps one of the most useful inventions to take your surfboard with you on your car ever. The Premium Bungee Lock down Roofrack system ensures that you can attach your surfboard to your roof and even lock it so that someone cant steal those gems from your car. There is a lock on the strap itself. 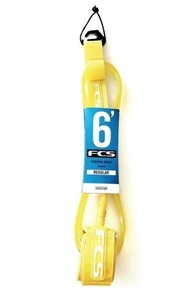 Of course FCS also makes leashes and grip decks of the very best quality. 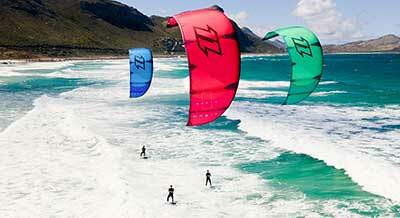 These items are suitable not only for surfing, but also for kitesurfing. Grip is very useful if you want to go kitty with a directional. Normal wax will quickly kick you off your board. A deck grip stays on your board and gives you always great grip and a nice feeling with your board.